Tilton-on-the-Hill is 10 miles south of Melton Mowbray and 11 miles east of Leicester. It appears that a single chapel was built between Tilton and the neighbouring hamlet of Halstead although, as set out below, there are some discrepancies within the various sources which survive. No response from Tilton-on-the-Hill survives to the Meeting House Return of 1829. 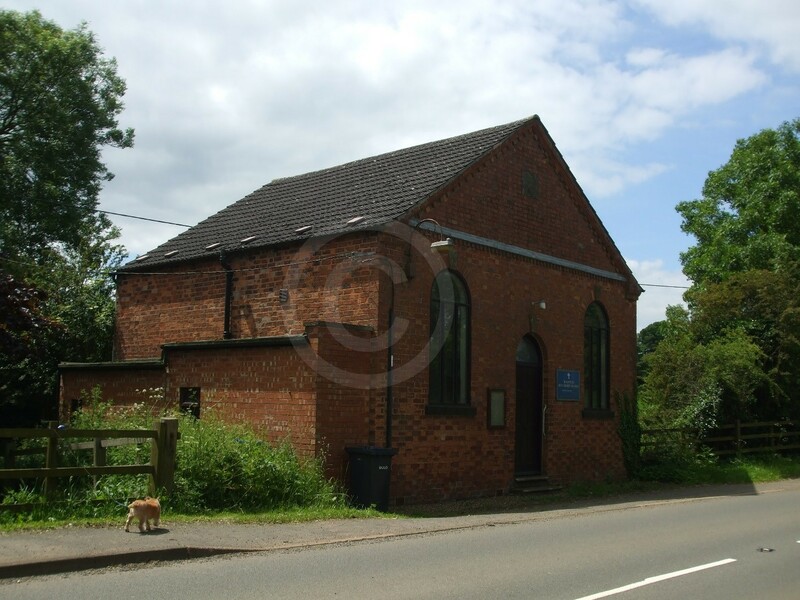 However, a Wesleyan chapel built in 1813 stands partly within Tilton and partly in the neighbouring village of Halstead, and provides evidence that nonconformist worship was taking place in 1829. The 1851 census of religious worship gives the date of construction of this chapel as 1821/22, different from that given elsewhere. It is unlikely that two chapels existed in the small village but in a Trade Directory such a situation is implied. The confusion probably arose as both villages claimed it as their chapel. The two villages of Tilton and Halstead are extremely close – almost conjoined. The chapel of 1813 was built on land owned by Mr T. Sikes and let on a 99 year lease at a nominal rent of 3 peppercorns per year. The chapel was a separate building and used exclusively for worship and was enlarged in 1852 and again in 1862. It had 55 free and 35 other seats. On Sunday 30 March 1851 there were three services in the morning, afternoon, and evening and these attracted a congregation of 40, 46, and 26 respectively. There was no Sunday school reported, and no average congregations for any service or Sunday school were returned. The chapel pictured, on the boundary between the two villages, bears evidence that it has been extended at some time, and has a date stone of 1868. The chapel appeared to be no longer in use in 2016.